Maco PKG services many large production runs and bulk packaging for multiple industries, including agriculture, food, industrial, and commercial. We have over 80 years of experience packaging large quantities in bulk. We’ve earned the extensive knowledge that’s needed to support quantity and still be efficient. If you repeatedly use our services for long runs and bulk packaging, we’ll be able to streamline your co-packing requirements among multiple Stock Keeping Units (SKU). The faster we can get your product in and out of our facility, the less overhead we’ll charge, thus saving you money. We then take inventory faster, manage barcodes, distinguish identical products from each other, and maintain consistency. The more familiar we become with your specific product, the faster we complete the manufacturing process. Our dedicated quality control staff follows strict certification regulations. We make sure your large runs and bulk packaging meet all safety requirements. We’ll store your products in our secure warehouse facilities for a limited time and then prepare them for shipping. 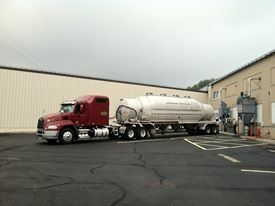 Let Maco PKG handle your demanding large run efficiently and professionally.